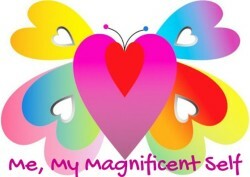 Our website address is: http://memymagnificentself.com, owned & managed by Barbara Franken who honours all data collected on her website as confidential and sacred. If you use our contact form to message Me, My Magnificent Self your data will be retained indefinitely for customer service purpose only… (not for marketing purposes). We collect information about you during the enrollment to our courses or checkout process on our site. Courses, your answers, comments, files. We will store order information for 7 years for tax and accounting purposes. This includes your name, email address and billing and shipping addresses. We will also store comments or reviews, if you chose to leave them. Barbara Franken has access to the information you provide us. Customer information like your name, email address and billing.